This contest has ended. There will be another soon. I need to get the word out about this blog - right now we usually have less than 100 visitors daily. Once in a while it gets close to 200, but that's rare. So, I'm going to have a giveaway. The prizes are going to be 2014 silver eagles from a roll I bought a few months ago. Here's how it works. A random winner will be chosen on June 1st 2014, and if that is yours, I'll be mailing you at least one 2014 silver eagle. How do you enter? This is the easiest contest ever! You don't have to Tweet, Like, Plus or Comment: you just enter! That's it. Of course if you do tell other people about it, you might get a better prize, but that's up to you. I'll keep this post up to date with how many entries there are and what the prizes will be. Great contest at Tony Lawrences' Coins & Stuff.Enter to win a 2014 Silver eagle,very easy but time is running out so get over there!! Thank you Tony... Always a knowledgeable source of information! Nice coin site. I need a light box. Thanks for the information. Packed up, ready to ship. Any last minute entries? Received my ASE today!! Thanks. 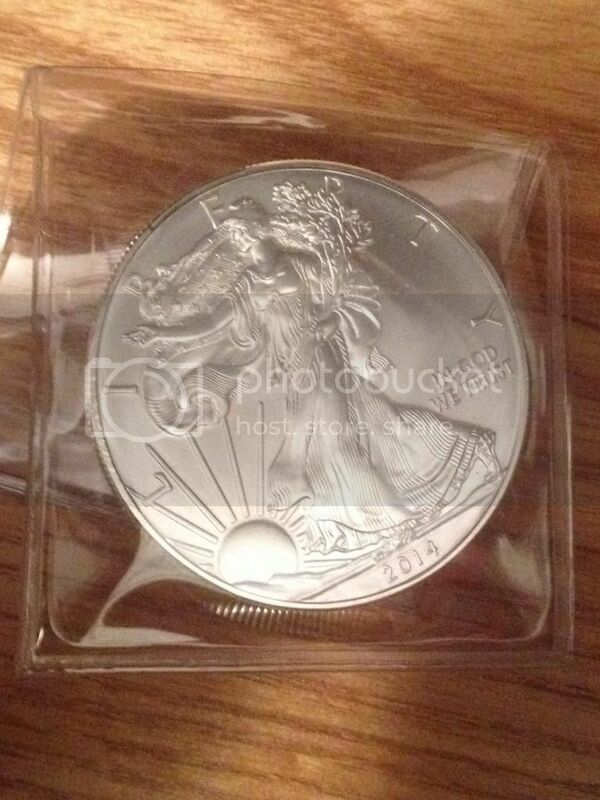 2014 ounce of silver.